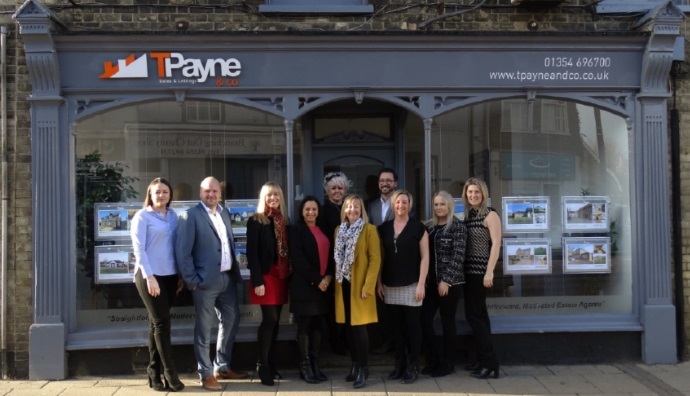 T Payne & Co are Sales & Letting Agents in Chatteris that are passionate about property, straightforward, motivated & completely independent. We are successfully dealing with sales and lettings from our office at 6 High Street, Chatteris, PE16 6BE! Open 7 days a week, Weekdays 9am-8pm, Saturdays 9am-5pm & Sundays 10am-4pm. Available when you are. We are a Licensed Branch of the National Association of Estate Agents. We cover Chatteris, March, Wisbech and the surrounding villages, and can tailor a marketing package to suit, whether it be selling or letting. Call us for a free valuation on (01354) 696700. We love to talk property! We take our data privacy responsibilities very seriously at T Payne & Co, and we want you to understand and feel confident about how we collect, store and handle your personal data.